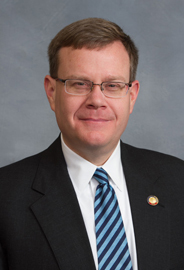 As a growing number of editorials in the state’s major news outlets have noted in recent days, House Speaker Tim Moore’s unilateral, backroom decision to slash funding for Legal Aid of North Carolina is an example of modern North Carolina politics at their absolute worst. To the list of legislative actions that have slapped the poor across their faces in North Carolina – no Medicaid expansion, higher sales taxes, tax cuts for the wealthy that have to be made up by those taxes – add reductions in state money for legal aid services. Assistance for several legal aid programs in the state has been reduced drastically in the last few years by Republicans in the General Assembly, who’ve conducted a one-sided war against the poor since taking control of the legislature. The legal aid cuts done in the name of budget-balancing but now said by longtime observers to likely be permanent deny the poor a fair shake in the complicated legal system. That might mean a handicapped person can’t get access to a wheelchair, or worse, it might result in someone unjustly being thrown out of an apartment. Moore then left it to his press aide, Joseph Kyzer, to refuse to provide any details of the supposed complaints. “It wouldn’t be appropriate for our office to comment about actual cases,” Kyzer said. Say what? A huge budget cut and then the Speaker’s office stonewalls the public about the reasoning? In other words, this is just hogwash. Legal Aid doesn’t have enough lawyers or time to be taking frivolous actions of this kind — certainly not on any kind of scale that would warrant punishing the entire organization or the thousands of poor people it serves. If Moore has actual evidence of such behavior, he is a lawyer and a member of the bar and he ought to take action through the appropriate channels to expose and seek sanctions against the lawyers he is accusing. To simply slash the program and punish the people it serves based on such vague and flimsy allegations is just the latest in a long line of embarrassing decisions by the Speaker and his minions. This is a crisis. Legal aid to the poor has been slashed not only by NC but is also targeted by Pres. Trump, who has proposed cutting all but $33 million in federal Legal Services Corp Funding (LSC), down from $385 million today. According to experts, more than 80% of the legal needs of the US poor go unaddressed, with LSC strapped to address needs related to domestic violence, housing, family law, veteran’s benefits, etc. The US–before these cuts–tied with Uganda in rankings for civil legal access for the poor internationally, with other developed democracies spending three to 10 times what the US does in this area, according to the World Justice Project. With national access to legal services at about 40 lawyers per each 10K population, NC has only half that for the average person (23.3). For the poor, average national access is .64 attorneys per 10K population. North Carolina, before these latest budget cuts, is .51 attorneys per 10K population. Once again, NC distinguishes itself in the race to the bottom. This war on the poor must stop.